BJP’s Jaya Prada and SP’s Azam Khan are pitted against each other in Uttar Pradesh’s Rampur constituency for the upcoming Lok Sabha polls. Minister of External Affairs Sushma Swaraj on Monday registered a strong protest against Samajwadi Party (SP) leader Azam Khan’s appalling and shameful remarks against BJP candidate Jaya Prada and sought to draw the attention of party patriarch Mulayam Singh Yadav to the “khaki underwear” comment. In a tweet tagging SP chief Akhilesh Yadav, his wife Dimple Yadav and party leader Jaya Bachchan, Swaraj said, “Mulayam bhai, you are the patriarch of the Samajwadi Party. The Draupadi of Rampur is being disrobed in front of you. Don’t make the mistake of staying silent like Bhishma”. 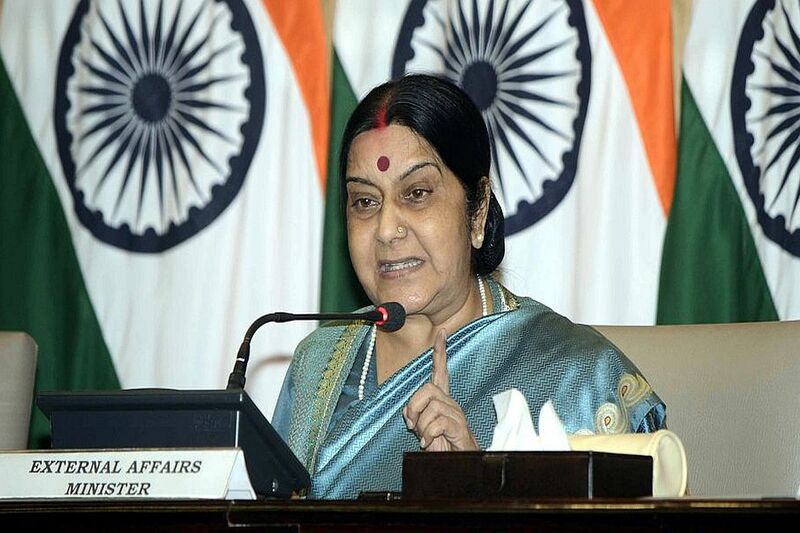 Sushma Swaraj was comparing Azam Khan’s alleged attack on Jaya Prada with the Mahabharat’s portion in which Draupadi was made to undergo a trial. The usage of foul language during electioneering hit a new low Sunday when veteran SP leader Azam Khan made a disgusting “khaki underwear” jibe against Jaya Prada. The remarks stoked a major controversy with the BJP terming it as “obnoxious and shameful”. An FIR has also been registered against him in the matter. National Commission for Women Chairperson Rekha Sharma too construed Khan’s remarks as having been made against the actor and termed the same as “extremely disgraceful”. She said the women panel will be sending a show cause notice to Khan. Jaya Prada had won the Rampur Lok Sabha seat in 2004 and 2009 on a Samajwadi Party ticket but later she was expelled for alleged anti-party activities in 2010. She joined the BJP last month. Uttar Pradesh is voting for the 80 Lok Sabha seats in all seven phases.